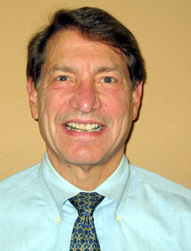 Dr. Jacobs received his medical degree from Washington University in St. Louis, Missouri. He completed his internal medicine residency and chief residency at Stanford University Medical Center ~ then joined the Stanford University faculty, becoming a professor of medicine in 1991. While at Stanford he spent the majority of his time in direct patient care and teaching. After spending a year on the East Coast (2001-2002), he retired from Stanford as an emeritus professor of medicine in order to devote his professional time and energies to the full time practice of internal medicine. Dr. Jacobs is married to Dr. Jane Morton, the former head of Stanford’s Breastfeeding Medicine Program and currently a practicing pediatrician at Burgess Pediatrics in Menlo Park. He has three children, Lauren Jacobs, Emma Morton-Bours and Michael Jacobs and five grandchildren, Zoe, Alex, Cole, Tessa, and Reid. VOICE MAIL: (650) 325-9906. Messages may be left regarding any medical problem, question or need. During office hours: Please call the medical assistant (650) 325-9906 who will contact the doctor for you. If you get voice mail, you may press “4″ to page the doctor. Alternatively, you may have the doctor paged directly through the Stanford Page Operator (650) 723-6661. After hours: The doctor may be reached through the answering service by dialing the medical assistant number (650) 325-9906. MEDICAL ASSISTANT – Kate Anthony: (650) 325-9906. Available during office hours (8:30 a.m.-5:00 P.M. Monday – Friday except holidays) for routine appointments, nonurgent prescription refills and non-medical questions.